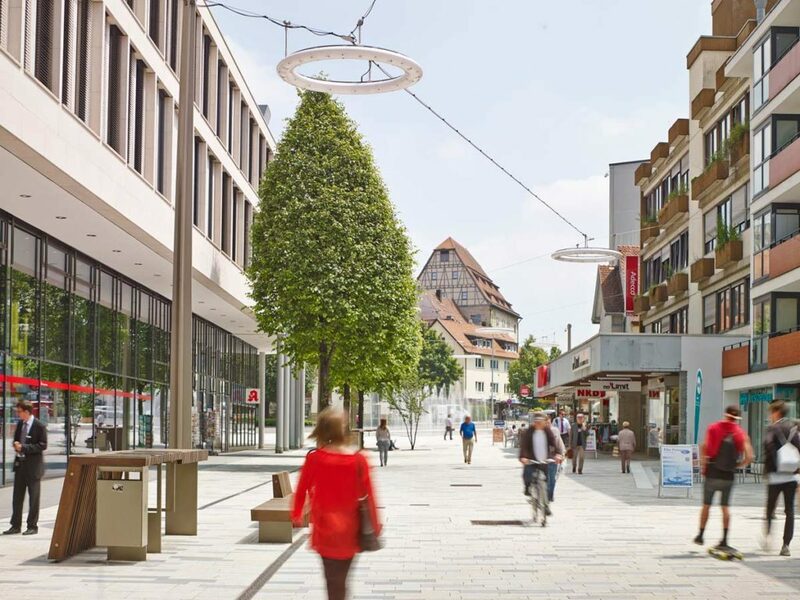 the neue meile böblingen interprets a classical railway station street setting in a completely new way. 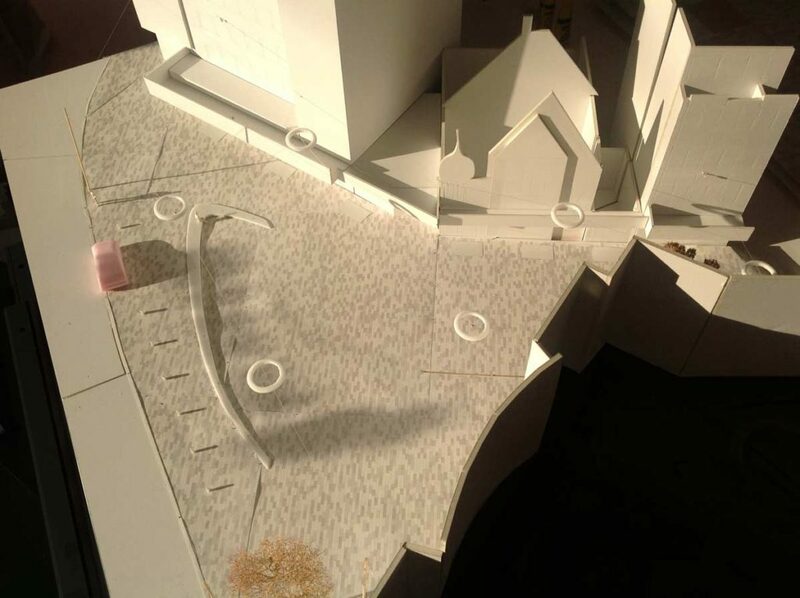 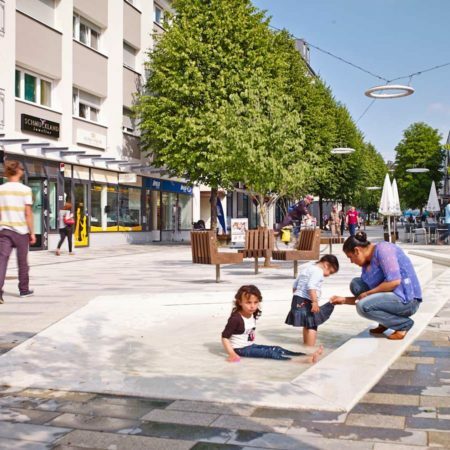 having started out with an external view in the cooperative workshop, our task was to cre- ate a new „system of measurement“, a public space of reference for the city of böblingen. 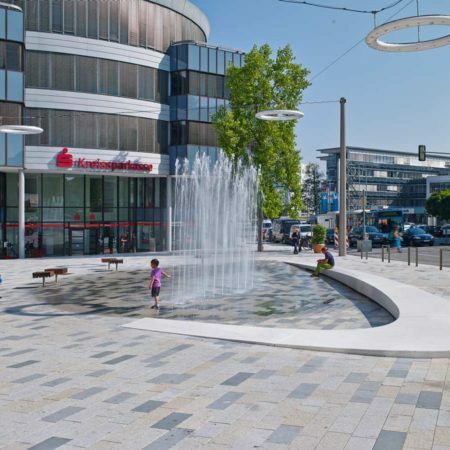 Hence, new qualities between a strip mall and recreational space were contrived in order to create a link between the old town and the railway station. 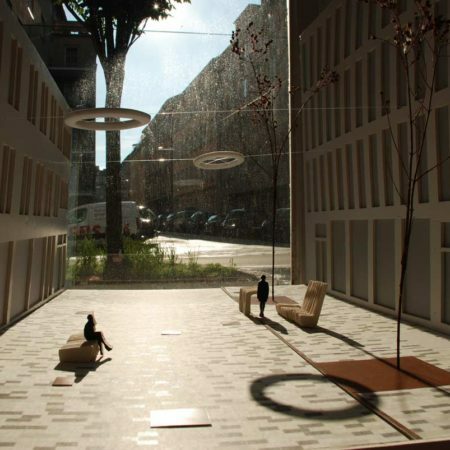 these qualities were then re ned during the partici- patory process and supported throughout the entire implementation process. 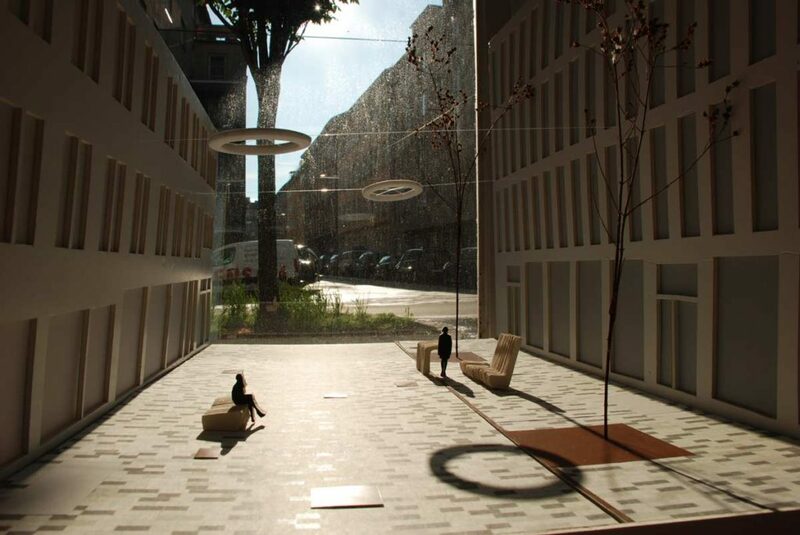 based on numer- ous preliminary studies and a short design phase, a series of on-site visits as well as sampling and prototyping processes were carried out while closely cooperating with local stakeholders. 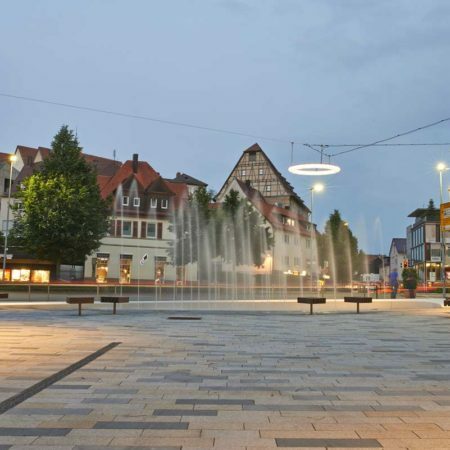 since spring 2015 the neue meile, now a public boulevard for pedestrians in an area that had been designed primarily for cars, has become a new backbone for public spaces in downtown böblin- gen. the design concept conceives versatility and cyclic continuation as intrinsic qualities of the space. 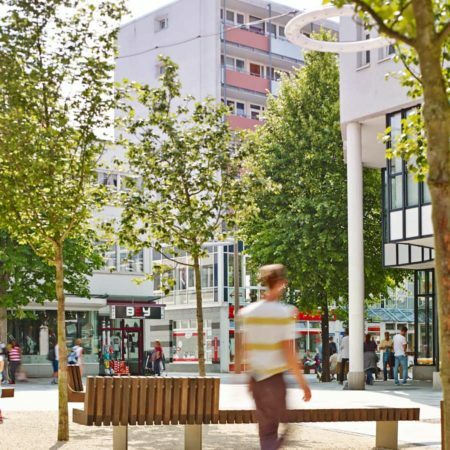 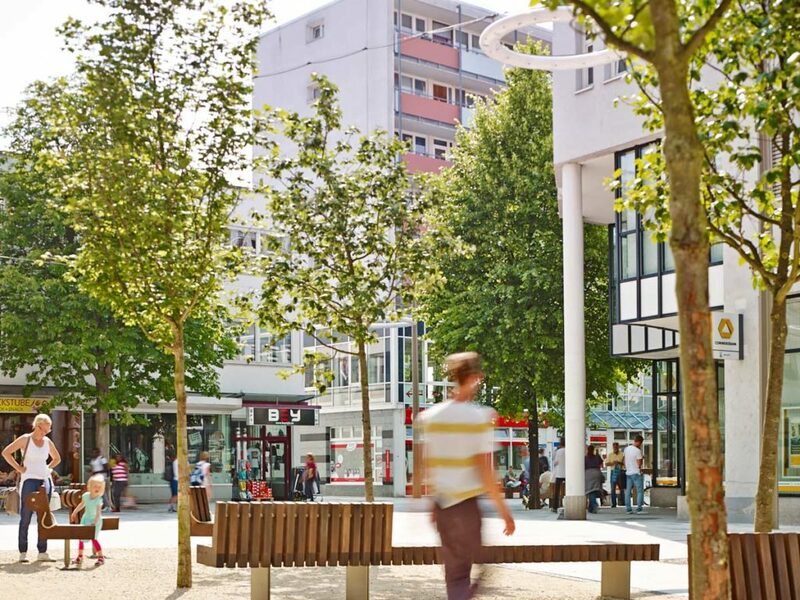 that way, the neue meile, being an attractive and living urban space, offers a real alternative to its economically strong neighbours such as the surrounding shopping centres. 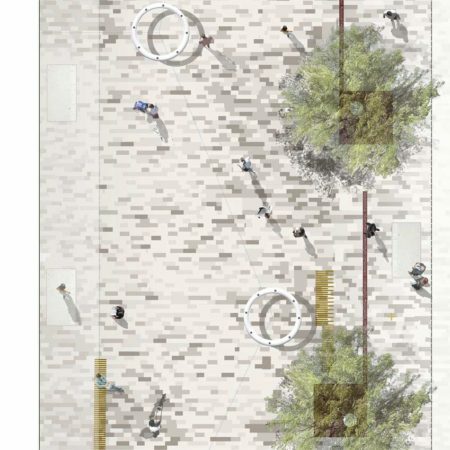 the spatial arrangement enables a unique choreography between the dialectic of commuters quickly passing through and others leisurely strolling around. 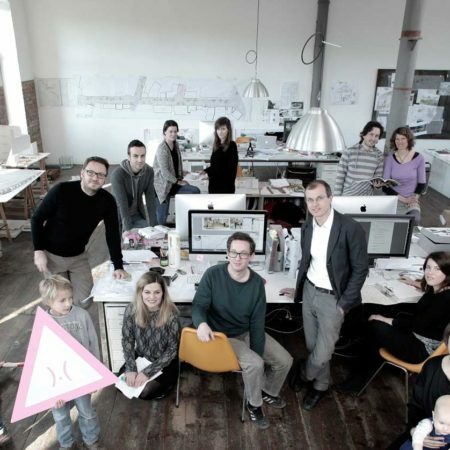 the key objective of the design pro- cess was to invent an independent, atmospherically intense identity. 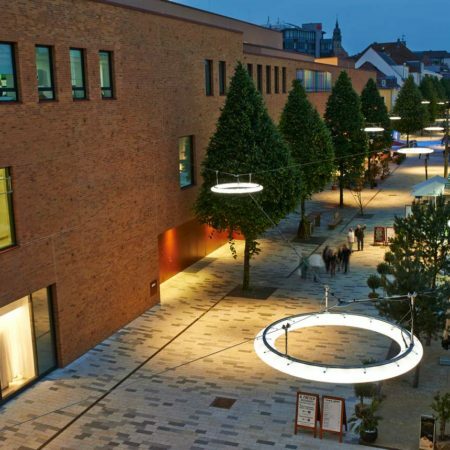 the street luminaries play a signi cant role for this, regarding their daytime as well as nighttime impact: suspended, self-glim- mering light-rings had already been suggested during the initial workshops. 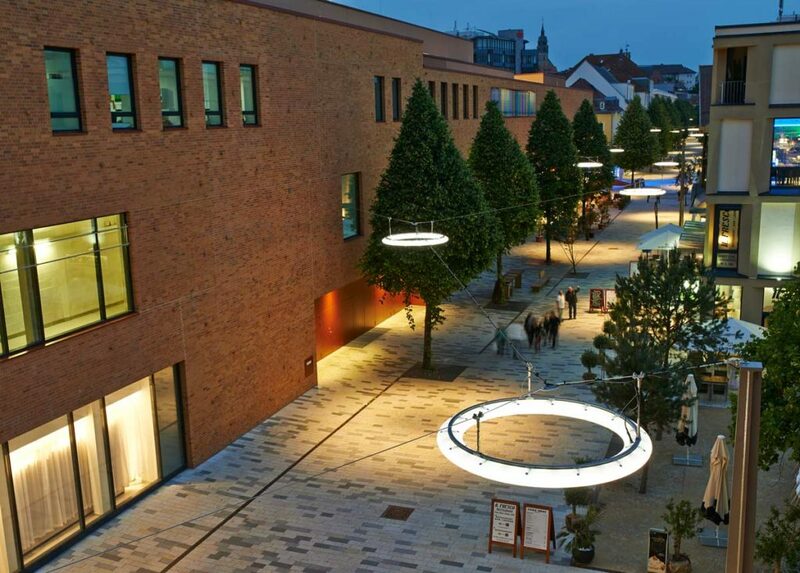 striking light rings are now freely dancing above the urban space and act as important markers of the new identity throughout the whole day. 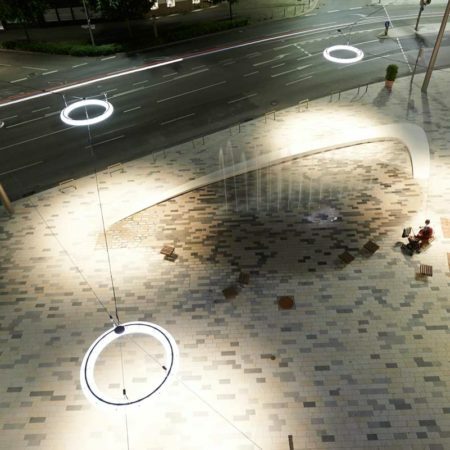 in compliance with the lighting concept by lumen3, each white and semi-transparent torso is equipped with fourteen led spots, specially arranged to illuminate without glare and to highlight the natural stone pavement in a narrative structure, approaching the surrounding shopping realm. 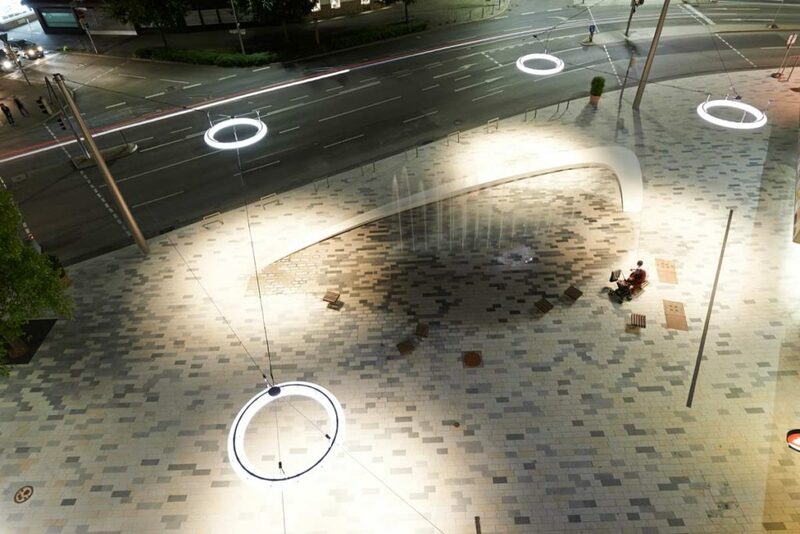 at night, welcoming pools of light arrange the street space in an exciting sequence of different light intensities. 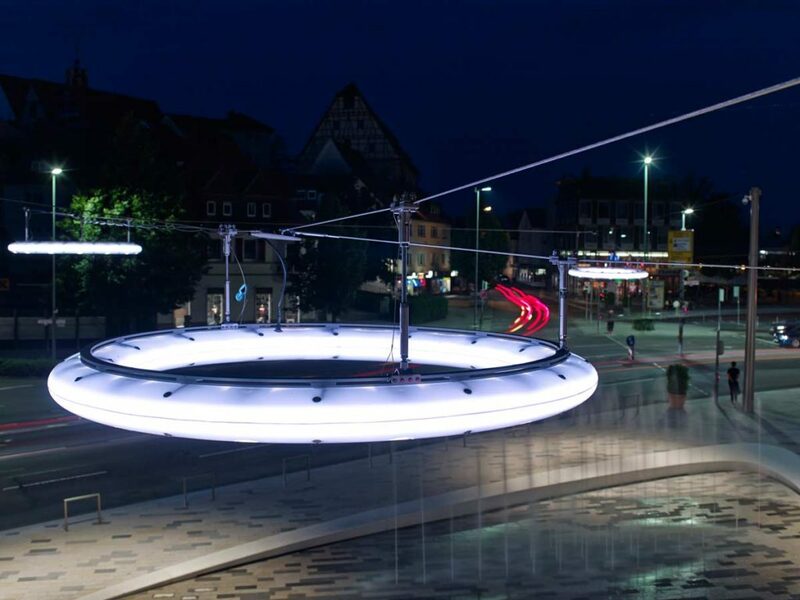 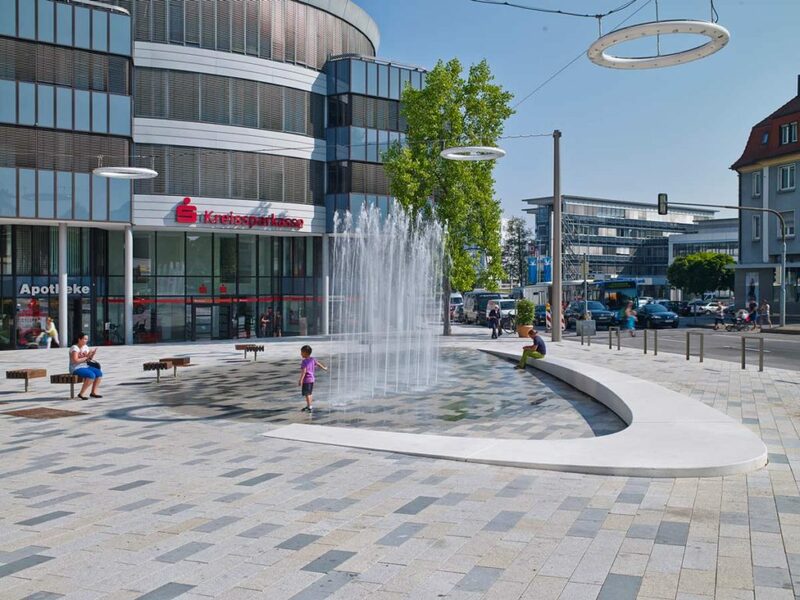 the elbenplatz, known as one of the busiest street intersections of böblingen, is rede ned as a window to the old town: a dry deck fountain that is embedded into the new street level interacts with traf c and overlays it in a visual and acoustic way. 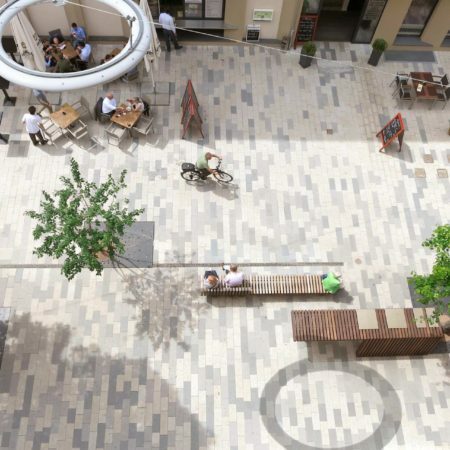 the former intersection acquires new quali- ties as a meeting and recreation space. 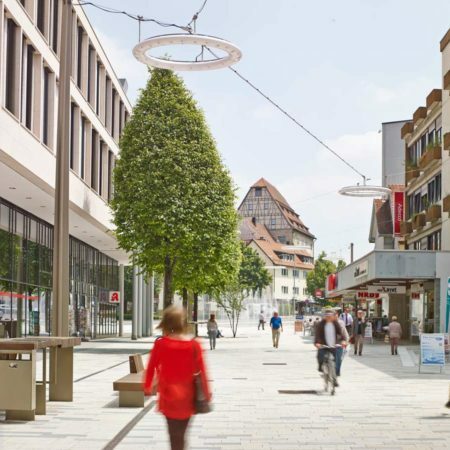 this creates the unique atmospheric sequence leading through the bahnhofstrasse from the railway station to the old town, while cautiously graduating all adjoining side-spaces. 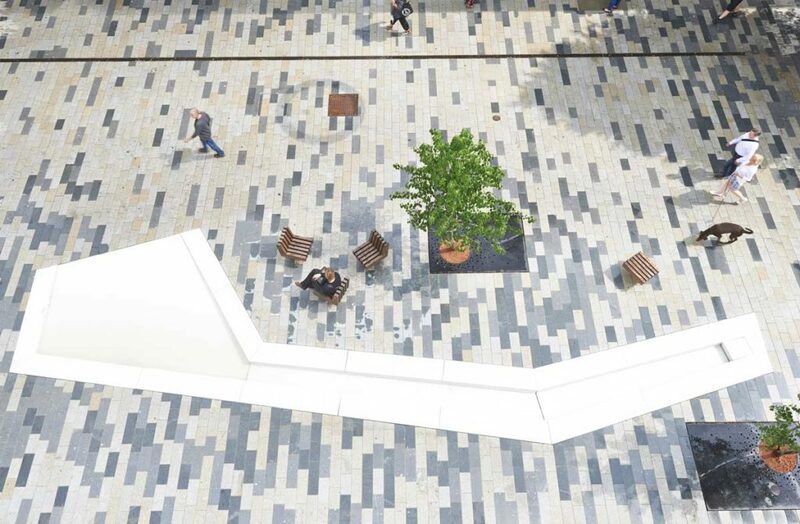 iberian granit-stone spans a long pixel oor from façade to façade. 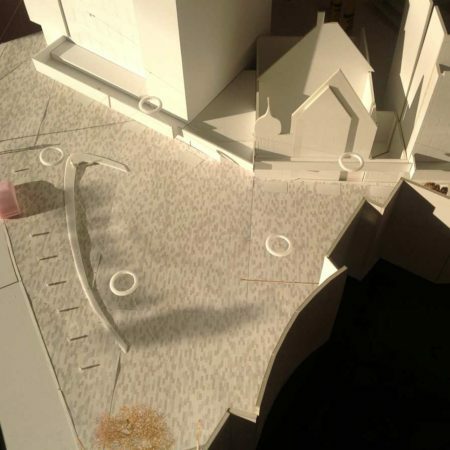 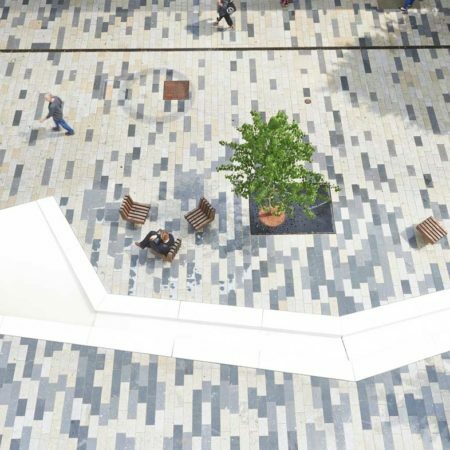 speci cally designed drainage channels and tree grids now break the linearity of the former street typology using an asymmetric drainage axis based on the existing sewage system. 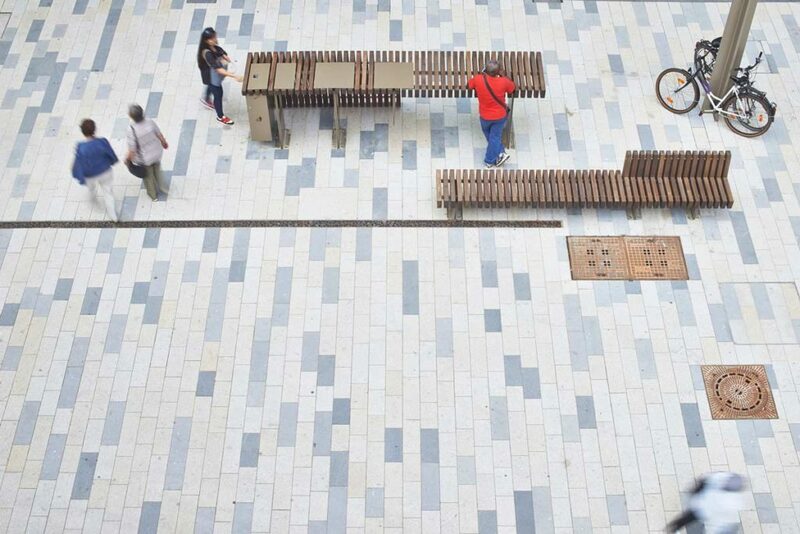 together with the modular street furniture (steel substructure with thermo-wood slats out of local ash timber), they generate atmospheri- cally diverse recreation and service spaces, which set a new rhythm to the mile: the specially designed bike counters that are combined with a long-bench typology make it possible to take a break without consuming, to store bicycles protected from wind and weather and neighbouring shopkeepers can also use them as counters for presentation purposes. 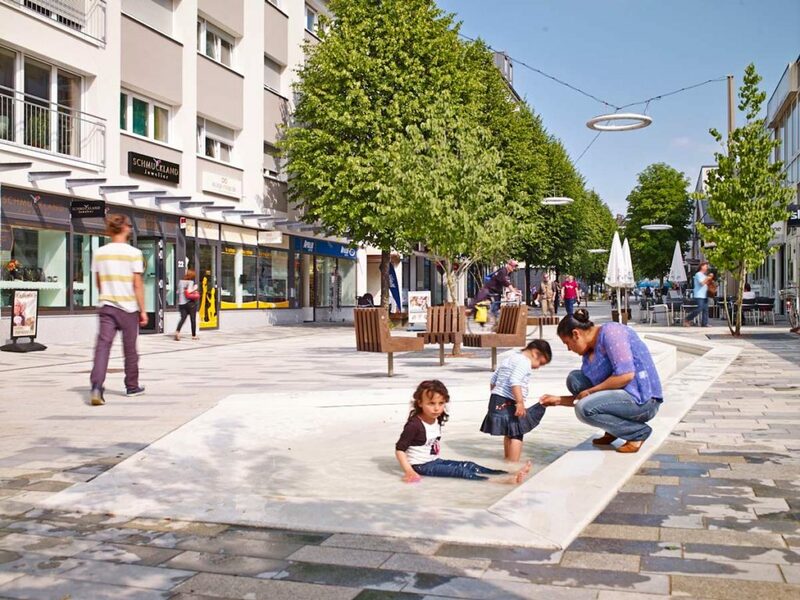 further street furniture was developed in collaboration with the local council for youth affairs and integrated in the comprehensive construction system: outdoor-sofas, the post-bench and freely rotating single seats that can be interpreted as play equipments. 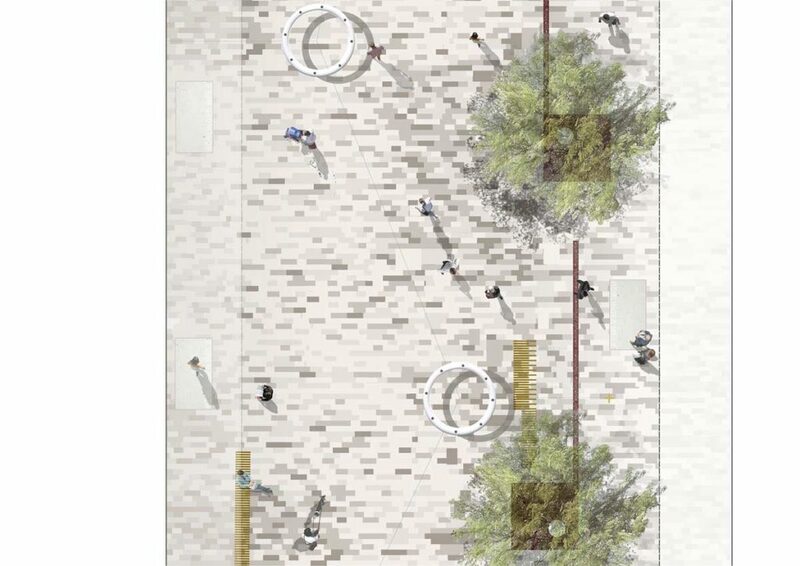 the precast concrete carpets of the walk of böblingen (printed with the photolithography technique) were designed as intarsia in the natural stone pavement. 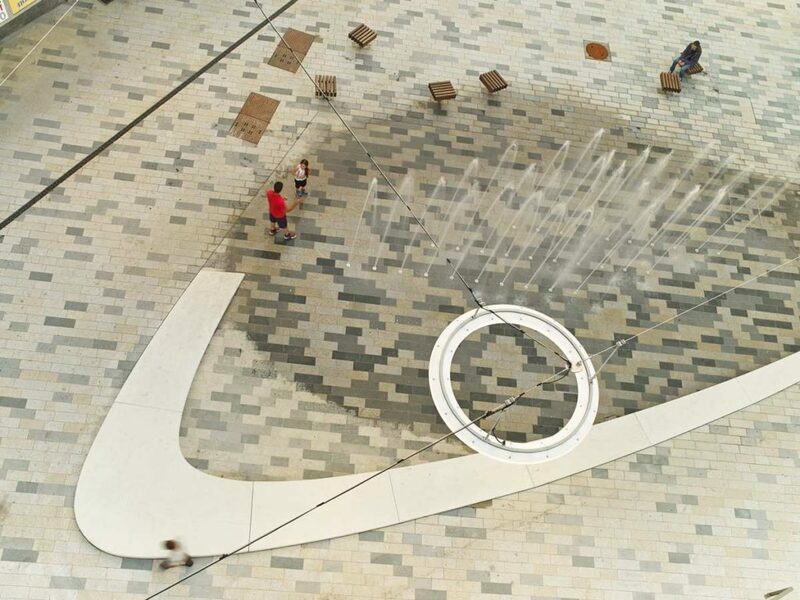 they tell pieces of the city‘s history and encourage people to discover this public space also beyond regular business hours. 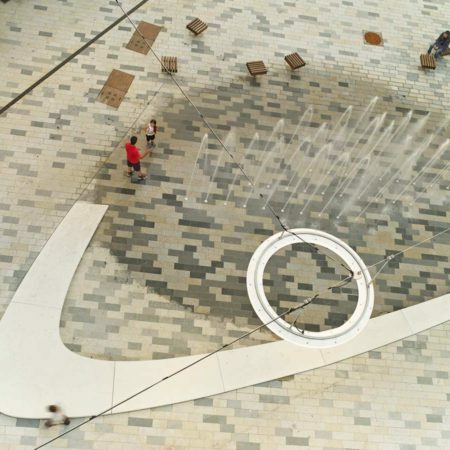 a watercourse in form of an inlay in front of a vacant space reminds of the former water feature typology in the road pro le and offers an attractive and barrier free connection between the new shopping mall and the existing retailing structures along the street. 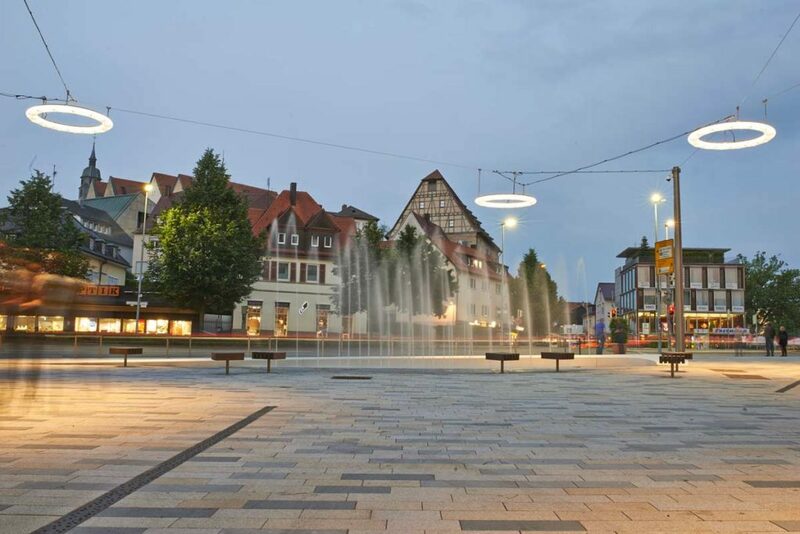 with up to 35.000 commuters per day, the square in front of the train station is the second entrée to neue meile. 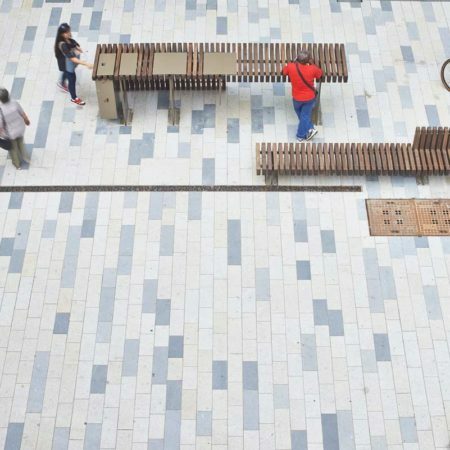 the pavement, colour and furniture concepts expand over the crossing bus lane and therefore create a piazza-like setting in front of the railway station. 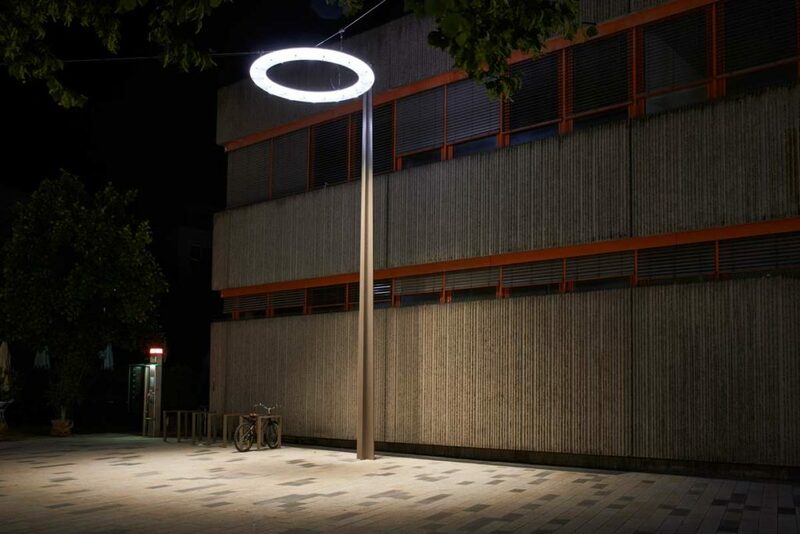 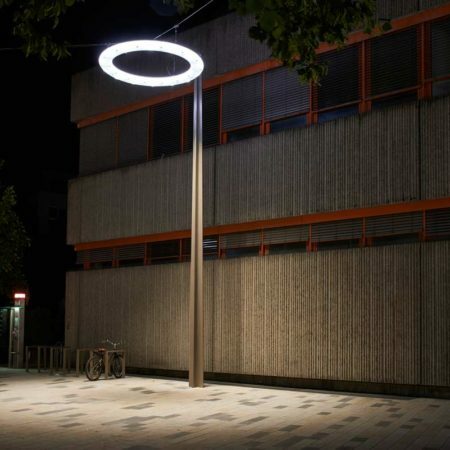 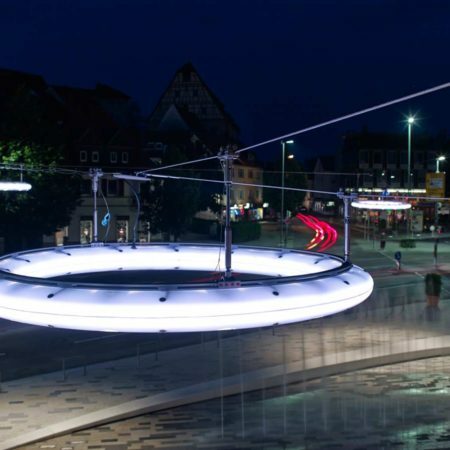 lighting poles based on an illumination concept by the company bartenbach complete this urban prelude. 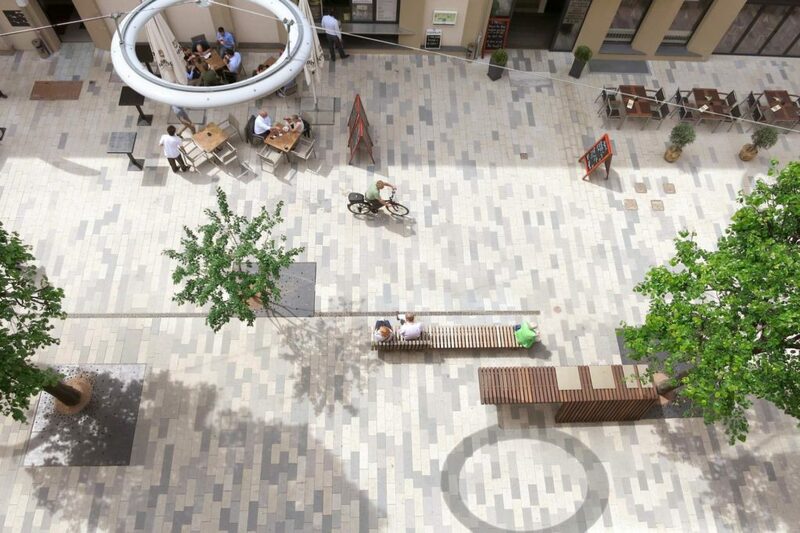 the conversion process of the formerly car-friendly downtown area continued until the end of 2015 with the redesign of olgastrasse and wilhelmstrasse, both of which were transformed into shared spaces with delivery access.